Raise your Sword! Defend the castle from the incoming Orc, Forest dweller, or anything! Manage the castle from top to bottom, Produce massive amount of food to feed your brave soldier in battle! What army do you want to command? swiftly militia, blood-thirsty barbarian, or blessed Arc leader? Configure your very own castle management to supply and survive! Survive the three invading races by defeating them till the last wave, pay attention for their strength and weaknesses. Journey the fresh morning, mysterious dusk, and scary nighttime! Don't forget to upgrade the skill of your soldier, make your firecracker unit throw a firebomb! Imbue your wizard with Freezing Touch spell! Enchant your archer arrow with fire! Collect all the scroll! Each invading race will drop precious scroll belong to them, Entangle all the enemy, rain of potato, or summon dread sword! 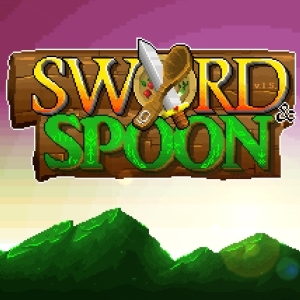 Choose the right combination for your strategy to finish Sword and Spoon!